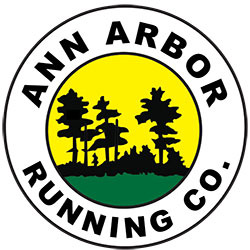 Purchases made though AATrackClub.org will appear on your credit card or banking statement by the name ANN ARBOR TRACK CLUB. 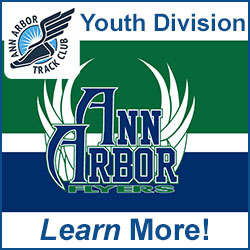 AATrackClub.org is owned and operated by Ann Arbor Track Club located in the United States of America. Depending on what you do when you visit any Web site, you are providing information about your visit to the site's owners. This includes AATrackClub.org's eCommerce pages. We value privacy and think you do too, so we want you to have the information you need to make your own decisions about your personal privacy. When you visit or supply information to any Web site, we think it's a good idea for you to first understand what that site's privacy policies are. If the site doesn't tell you, don't hesitate to ask. 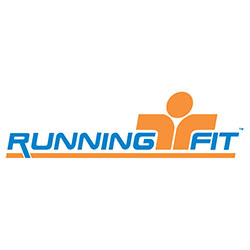 The bottom line at AATrackClub.org is that we use the information that we get from your visit for internal tracking purposes, for eCommerce transaction purposes, and to respond to your requests for information or other services. Except as specifically noted below, we do not use your personal information for any other purpose, we never sell it to any other party.Here is more detail on how we handle information we learn from you when you make a purchase using AATrackClub.org's eCommerce services. · CVV2 - CVV2, or Card Verification Value 2, is a number that is printed, not imprinted, on Visa, Mastercard, Discover or American Express. This number is never transferred during card swipes and should only be known by the cardholder, the person holding the card in their hand. When you visit AATrackClub.org and move from page to page, read pages or download content onto your computer, We learn which pages are visited, what is downloaded, the domains our visitors come from (e.g. 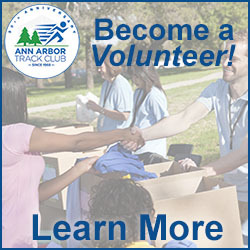 'aol.com,' or 'umich.edu') and the addresses of sites visited immediately before coming to AATrackClub.org. However, none of this is associated with you as an individual. It is measured only in aggregate. AATrackClub.org uses cookie technology as part of our Web site's statistical reporting. The information in the cookies lets us trace the paths followed by visitors to our site as they move from one page to another. We also use standard Web server log files, to help us count visitors and evaluate our site's technical capacity. Cookies do not capture your individual email address or any private information about you. We use this information to find out how many people visit AATrackClub.org, help us arrange the pages in the most user-friendly way, keep the site browser-friendly, and to make our pages more useful to our visitors. We record information on site traffic but not information on individual visitors to our site, so no information about you in particular will be kept or used. 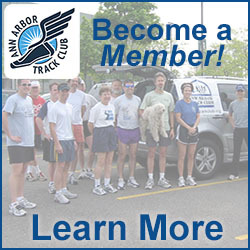 When you give us your email address and/or other information and ask us to use it to provide you with specific communications or other services offered on the AATrackClub.org site. We learn your exact email address, any other information you provide, and your request. We use your email address and any other information you give us to provide you with the information or other services you requested until you ask us to stop (using the 'unsubscribe' instructions provided with each email and/or on the site where you signed up and/or as we otherwise provide), or until the information or services is no longer available. We will not use your address or other information to provide you with any unsolicited message or information (unless that is part of the service you are requesting), nor will we share it with or sell it to any third party for such use. None of the personally identifiable information or prospect information is maintained in a retrievable form. If you have any questions, concerns, or comments about our privacy policies or practices, we would like to know what they are so we can address them. Please contact us at comm@aatrackclub.org.